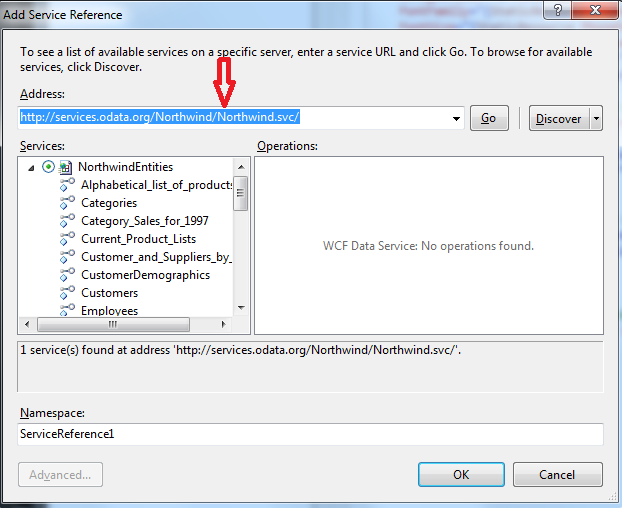 I will be using NorthWind OData URL. You can access that URL from below link. We are going to fetch Customers table from NorthWind DataBase. In Address you need to give URL of OData. 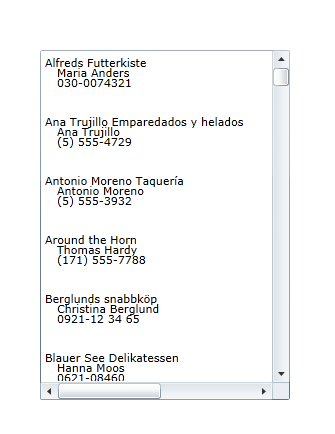 As we discussed in previous steps, here I am giving OData URL of NorthWind Database hosted by OData.org. Please make sure about second namespace. 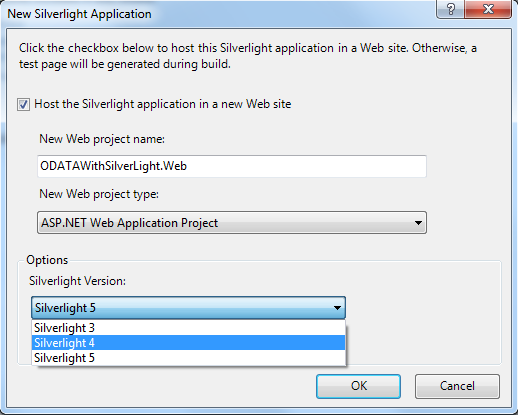 Since, I have added service reference of OData with name ServiceReference1 and name of project is ODatainMangoUpdated. 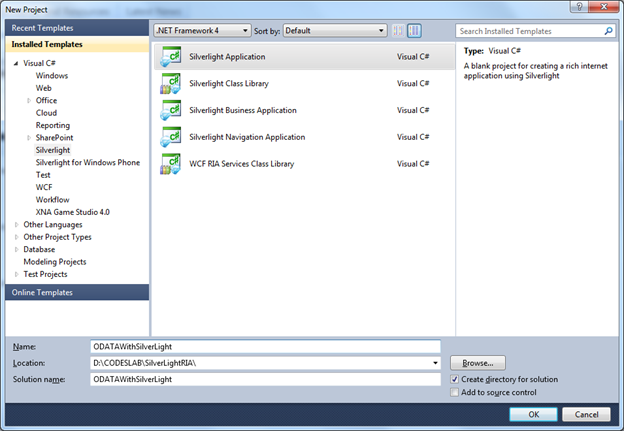 Attach event handler LoadCompleted on DataServiceCollection object. 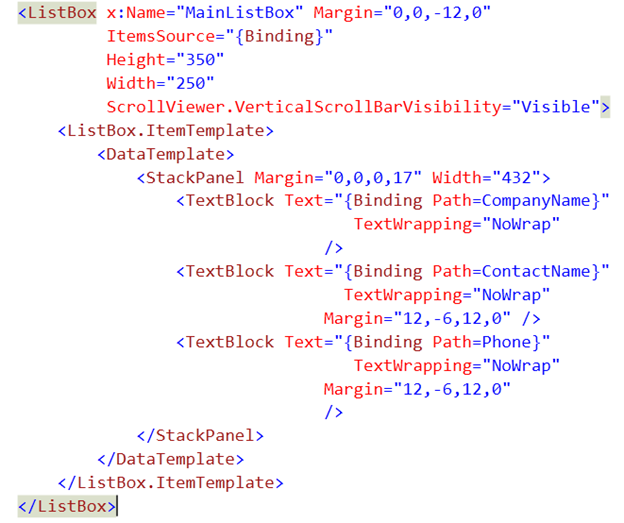 Set the DataContext of layout as result. Press F5 to run the application. You should get all the records from Customer table in List box.